Babies and young children are more susceptible to toxins in their food than adults and therefore it makes sense to use organic foods. Making your own baby food allows you to be completely in control of what goes in it, so you know the end result will be completely organic with no fillers or other ingredients you don't want your baby to have. The first foods your baby tastes, besides breast milk or formula, should be cereals and single, pureed fruits and vegetables. Once your baby is ready for a little more, try some of these organic recipes. This brown rice cereal uses whole grain brown rice, so you don't have to worry about added chemicals. Place the uncooked rice grains in a clean coffee grinder. Grind until the rice is the consistency of powder. Bring the breast milk, formula or water to a boil in a saucepan. Stir in the brown rice powder. Reduce heat and simmer for 10 minutes, stirring occasionally until the mixture thickens. Remove from stove and stir in pureed fruit if desired. Allow to cool before feeding to your baby. 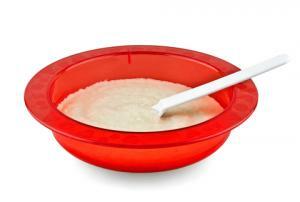 This sweet tasting puree is great on its own, or mixed into some rice cereal. This is also a great recipe for introducing apricots out of season. Place the apricots and apple juice in a saucepan. 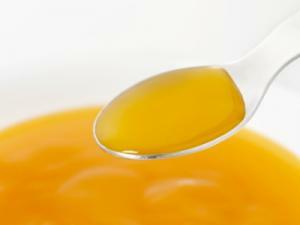 Strain the apricots from the liquid and place in a food processor with a tablespoon of the liquid. Freeze leftover puree in ice cube trays for later use. If your baby finds his first taste of apples to be too bitter, consider sweetening them with a little organic banana. Peel, core and slice the apple into pieces. Place the apple in a steamer basket and steam for approximately 10 minutes, or until soft. 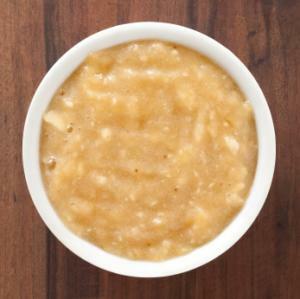 Place the steamed apple and the peeled banana together in a food processor. Freeze any leftovers in an ice cube tray for later. 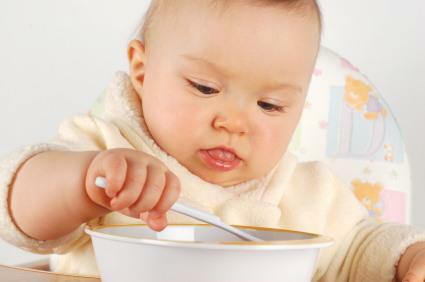 Once your baby has mastered smooth purees and a few pieces of soft, cooked food, it's time to move on to more complex flavors and textures like those in stage two foods. Pastina is very small, star-shaped pasta that can be found with other organic pastas at your local grocer. Mixed with banana, it becomes a thicker, heartier version of a breakfast cereal. Bring the water to a boil in a saucepan and stir in the pastina. Bring the pasta back to a boil, then reduce heat and simmer until the water has been absorbed. Mash in the banana with a potato masher. Thin with breast milk or formula if desired. These fun, purple finger-food cubes are a great way to introduce some protein to babies that don't yet have the teeth to handle meat, but who are ready for more than simple purees. Unpack the tofu and place it on a stack of paper towels. Place a second stack of paper towels on top of the tofu and set a heavy object like a pan or book on top to squeeze some of the water from the tofu. While the tofu is draining, rinse the blueberries and place them in a saucepan in water. Bring the water to a boil, reduce heat and simmer for 10 minutes. 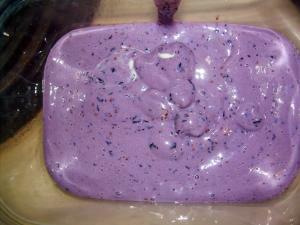 Chop up the tofu and place it and the blueberries in a food processor. Pour the tofu mixture into a container and chill in the refrigerator for one hour, or until firm. Turn out of the container and cut into cubes. You can roll the cubes in crushed, organic o-shaped cereal to make the cubes easier to hold if desired. 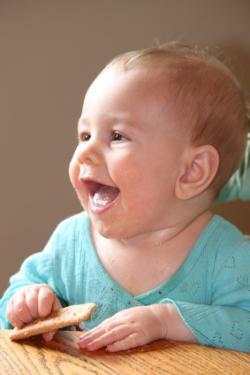 Give your teething baby some organic biscuits to gnaw on with these easy recipes. 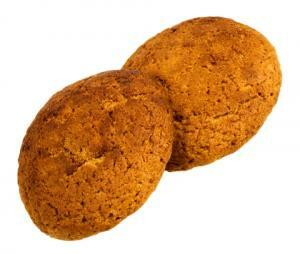 These biscuits are wheat and egg-free as well as organic, so they are suitable for babies with allergies. 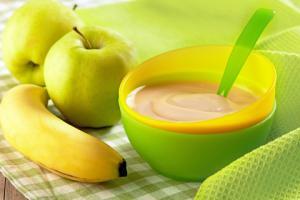 Puree the banana in a food processor and place it in a bowl. Add the rice flour and mix together well. Slowly add the ice water, stirring constantly. Stop adding the water when the dough pulls away from the sides of the bowl and forms a ball. Load the dough into a pastry bag with a wide tip. Pipe the dough onto a parchment paper lined cookie sheet. Try making crescents, circles and long bars out of the dough to give your baby some variety. Bake the biscuits at 425 degrees for 10 to 15 minutes, or until lightly browned. Store the biscuits in an air-tight container or freeze until needed. These sweet cookies are also a great treat for toddlers. Beat the milk, butter and sugar together until smooth. Stir in the wheat germ and barley flour. Scoop up the dough with a tablespoon and roll it into balls. Press each ball flat with the back of a glass until approximately 1/4-inch thick. Bake at 350 degrees for 45 minutes, or until evenly browned. Store in an air-tight container or freeze until needed. As your child gets a variety of fresh, organic food she will learn to enjoy many tastes, textures and flavors. Serving your baby organic food is one of the first steps in a lifetime of healthful eating. Use these organic baby food recipes as a jumping off point to creating your own menu of healthy, fulfilling foods.